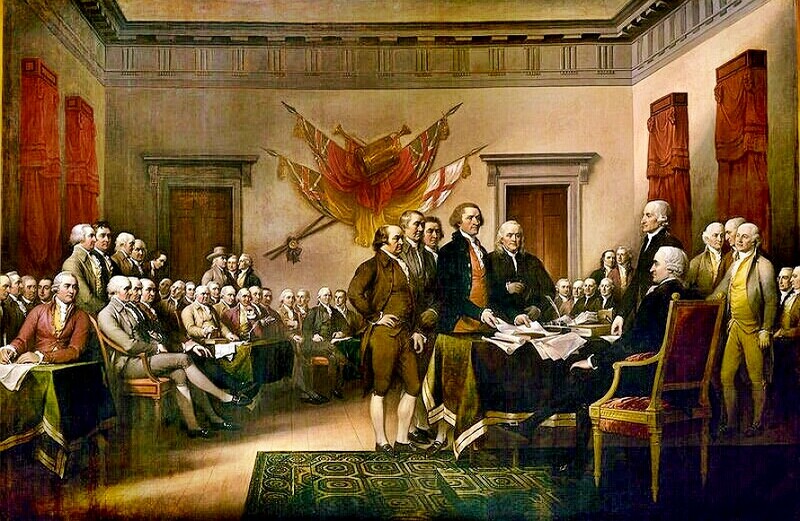 Eddy talks about some interesting facts regarding the declaration of independence and the celebration of Independence Day, then questions whether or not we are really actually free in the supposedly free world. Other topics related to current events are also discussed. CON stitution. CON. America is infinitely more Jewish than Israel, because Israel cannot be permanent. Israel is supposed to be hot, sweaty, irritated, like a boil. America is the last place. The Jewish final stretch. Jewish roulette. America was always faux-rebellion. “It’s okay, have this instead shh,” says the Jew, with the soul-replacing Christianitego, American hubris, American pride… American docility for love and peace. America the volcano. Anthony, you skipped this one!